3.1 Day 3: Wine, Coffee, Sunset and More! 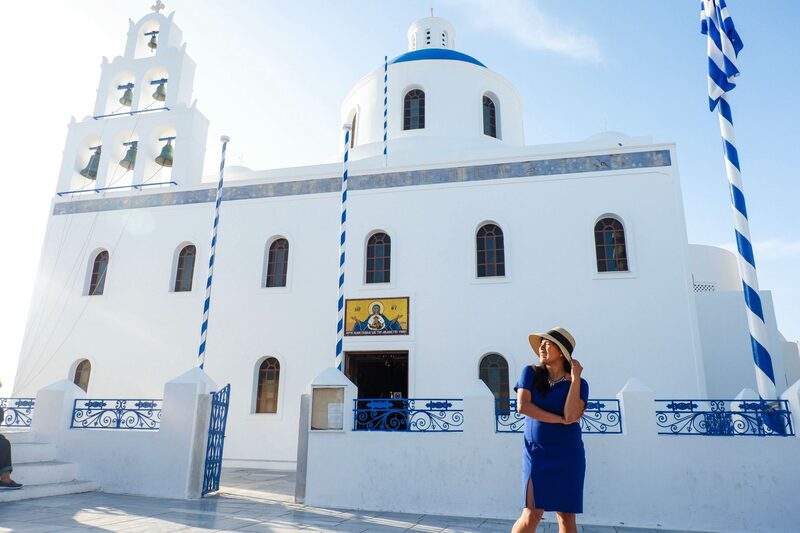 The name “Santorini” conjures up one perpetual image: the sight of pastel-colored houses with blue domes, piled up against a view of the blue Aegean sea. 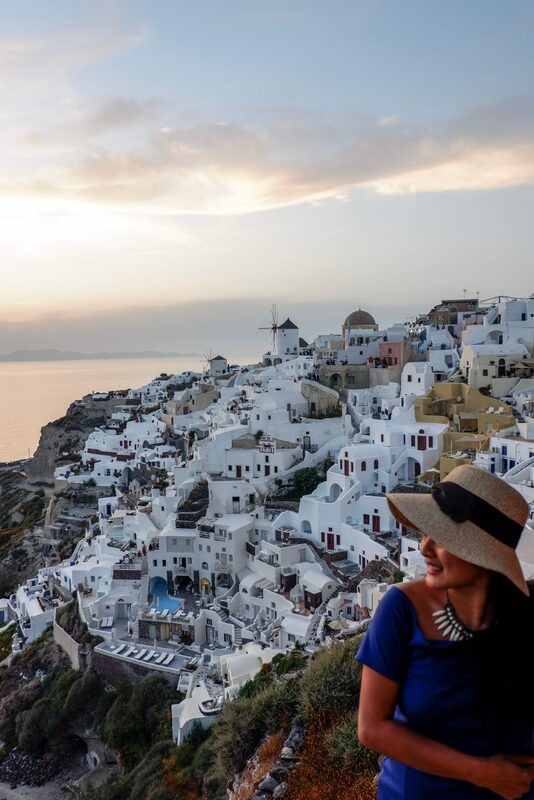 It is for that reason that Oia and Fira, the two villages where such views are abundant, are the most frequented areas in this part of Greece. However, these is far more to Santorini than this, and this is what I have seen first-hand as I spent 4 days in Santorini, that Greek paradise. 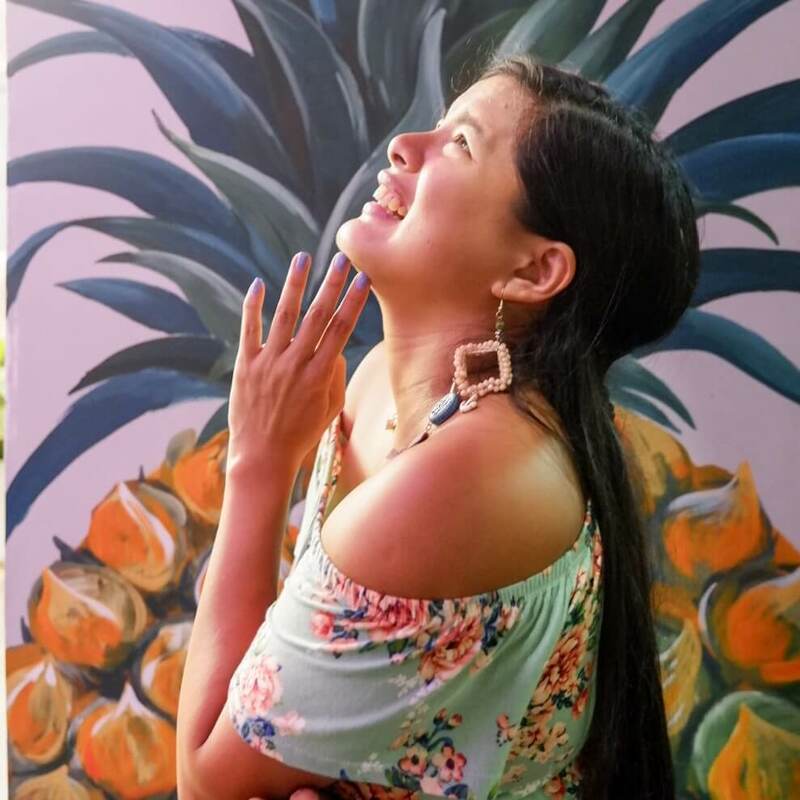 Let me walk you through this magical experience! 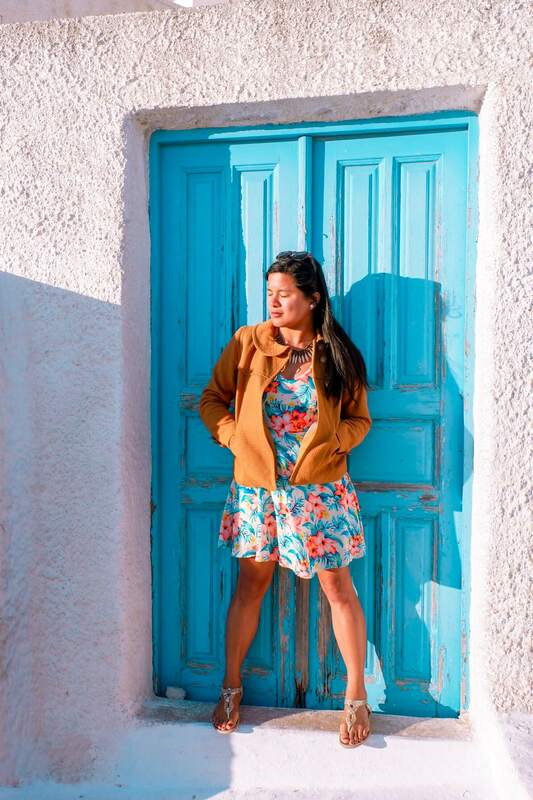 Tip : I went to Santorini in May, it was perfect. It wasn’t as crowded as the other months but the weather was good enough already. 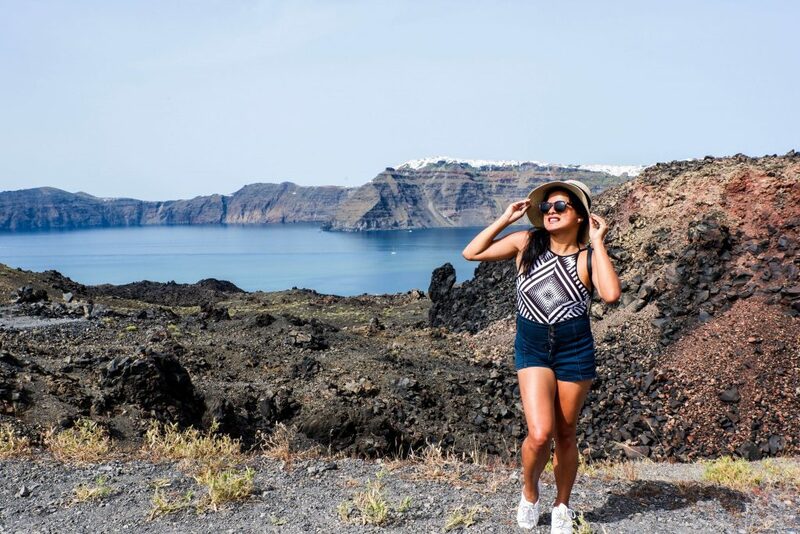 Like any other vacation, it’s always best to start with the basics — so I walked the tourist-trodden streets of Oia and Fira first! Don’t get me wrong, though. Even if the area is touristy, it still retains a good part of its postcard charm. The hike from Fira to Oia was very scenic, with amazing views all around. 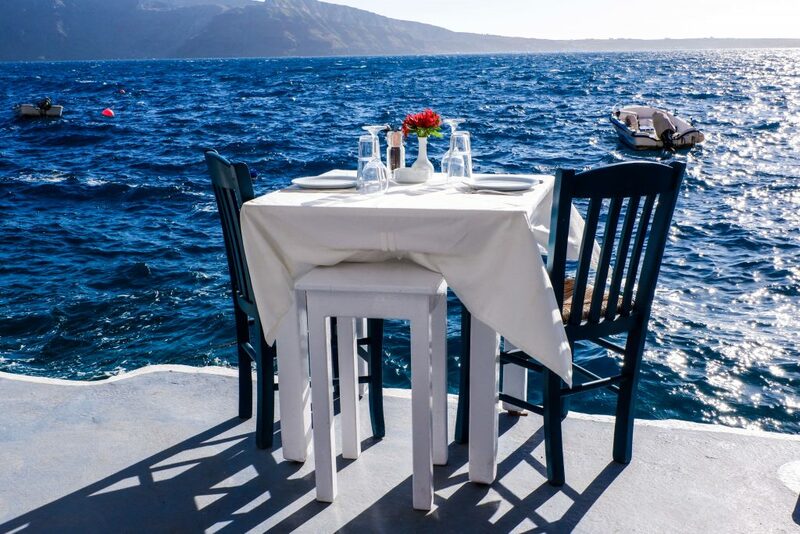 If you’re feeling hungry, you can have lunch in a restaurant with a great seaside view. Assyrtiko in Fira is a great choice, though if you are cash-strapped you can also go for more affordable traditional taverns! One great spot was the Ammoudi Bay, just beneath the steps in Oia. 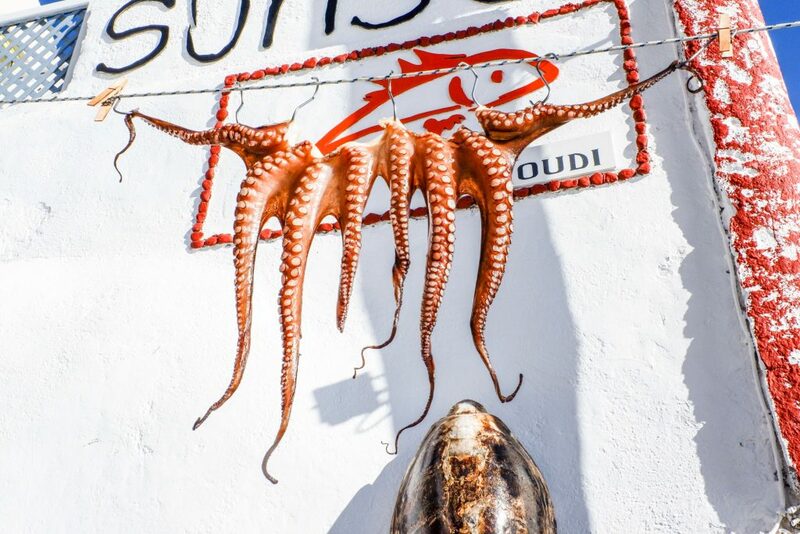 The place has fantastic fish taverns and an assortment of fun shops. We went into one of these taverns, and stayed at one of the tables near the edge. 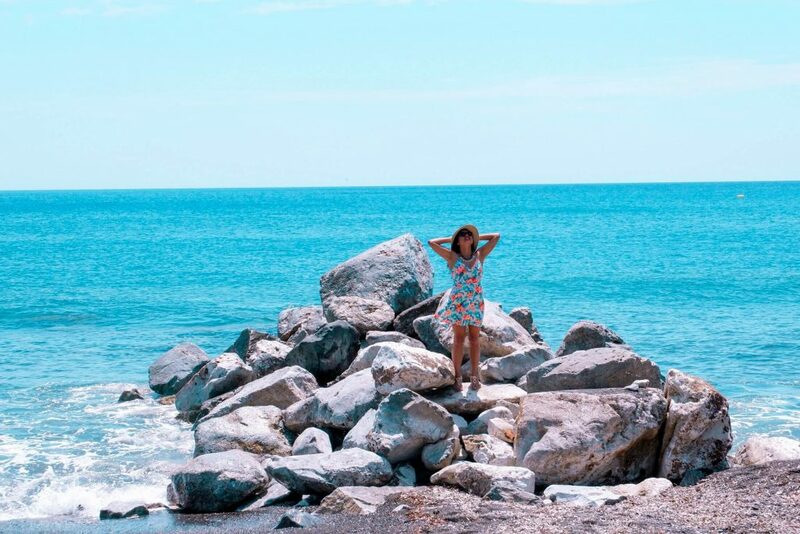 The sea was beautiful, but we were also easily reminded of how unpredictable it can be. Just as we were paid up and got up to leave, a huge wave came crashing down, soaking us from head to toe! We weren’t the only ones, either. The wind was picking up at that time so it was very chilly, and we ended up having to call a cab back up the steps of Oia. We had dinner in Oia, at the Sphinx Wine Restaurant. One great thing about Santorini is that wherever you are, the sunset is always amazing. We ended up watching it at the public pool club. It’s pretty expensive, at 10 EUR a drink, but it’s better than being at the castle. The last public bus back to Fira leaves at 9:50 PM, and it costs around 1.80 EUR per way of the half hour trip. The second day was spent on wheels, as we visited Red Beach. It’s a really pretty place with red rocks, but when we were there it was pretty crowded. We moved on to Perissa Beach instead, where we thought it was best to lay down and relax. Talk about an afternoon chill! 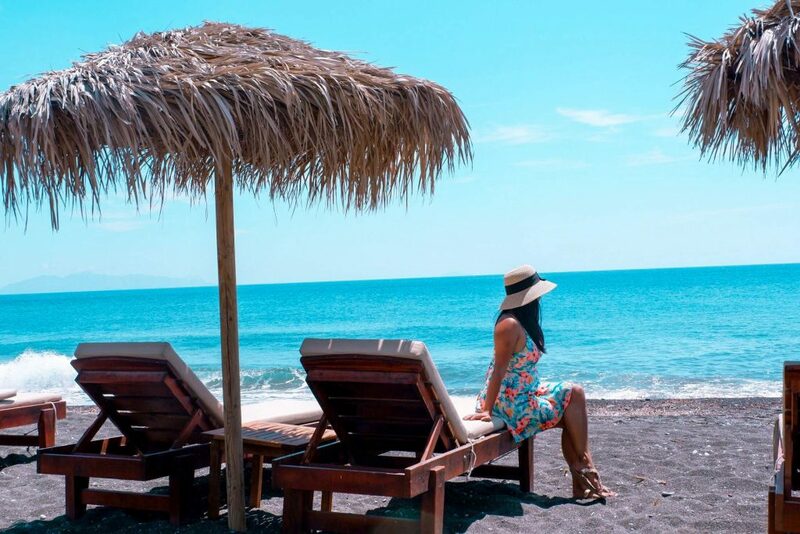 Being a coastal area, there are many beaches in Santorini.Perissa was one of those places where you can just really relax, with its long stretches of black sand. Another great beach in the area is the Perivolos Beach, which is at the end of town. 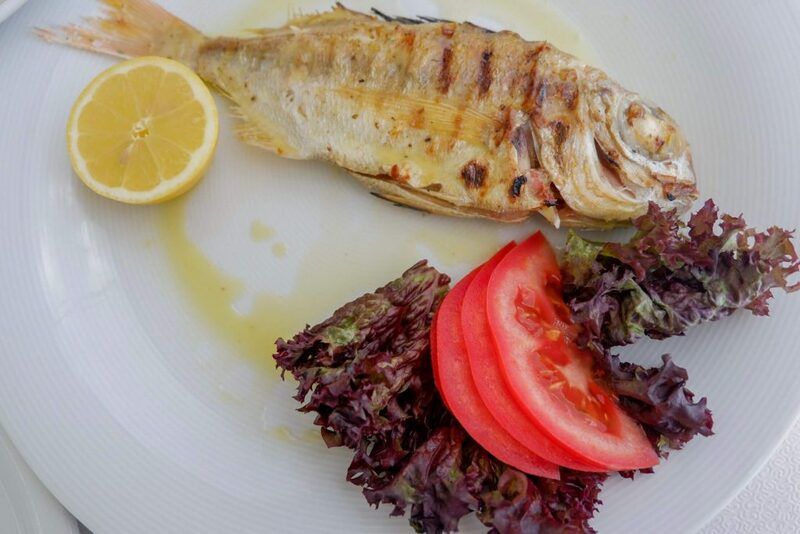 We had lunch at Fratzeskos Tavern, which is locally famous for their really good fish! It was suggested by a local, and locals always make the best suggestions. We also visited the Vlychada Beach, and went to the lighthouse. There are some really great sunset views here, too! The roads in Santorini are pretty straight forward and easy to get to. It’s also not that big so the longest drive you would have is around an hour-ish. You can reach almost everything by car except of course the volcano and some islands. Day 3: Wine, Coffee, Sunset and More! 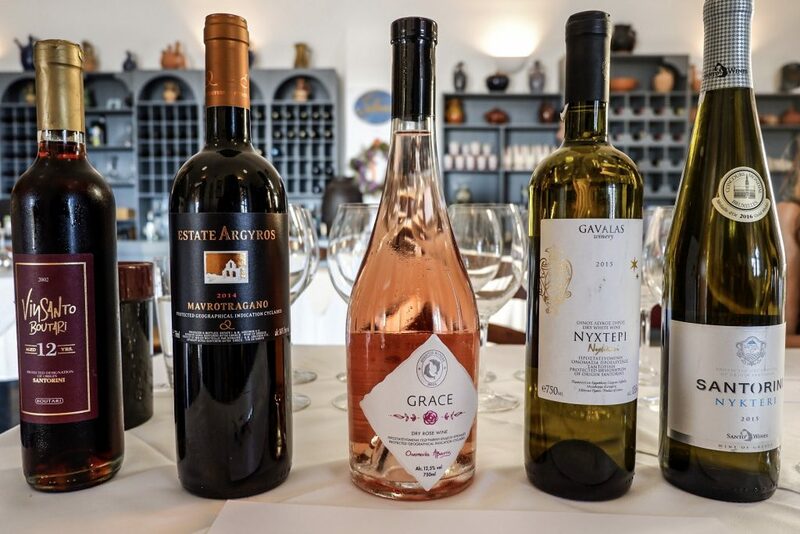 On the third day, we went wine-tasting at Selene! 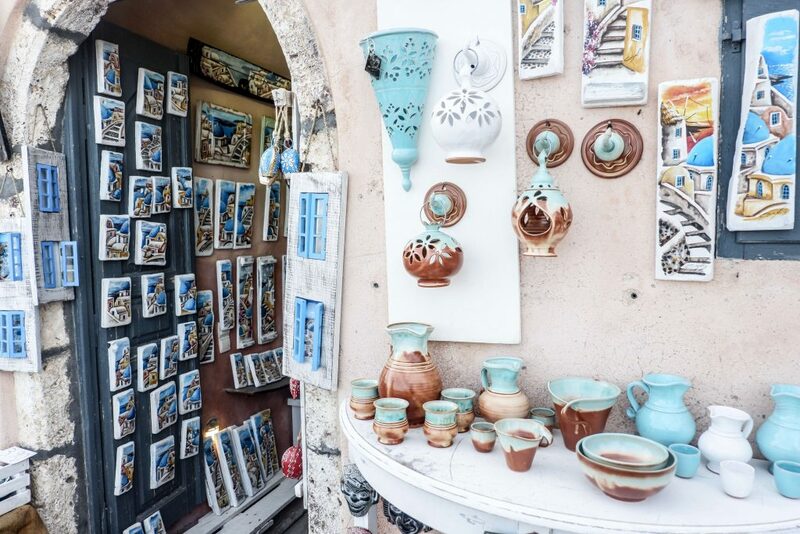 The cute, little town of Pyrgos was also on the itinerary. 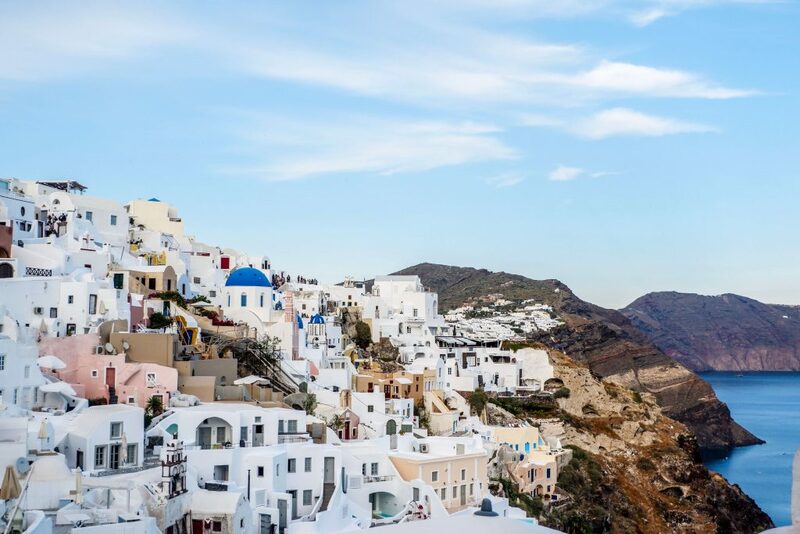 This village is 8 kilometers south of Fira, atop a hill that offers an amazing panorama. We had coffee at Franco’s Cafe, which is also (like many others) a great place to watch the sunset in! In the end we opted to do that activity at the Castle of Oia, which was particularly famous for that activity. Just be prepared for throngs of people before 7PM comes. The sunset doesn’t begin until around 8:30, but at that time it’s really hard to find a decent viewpoint. We ended up asking the people in front if we could take a photo, and my picture was taken on a rock behind lots of others! Since this is the case, it’s best to be there early and wait, preferably with a picnic or something. That way you can pick a good spot. There are lots of restos with great viewpoints too, and you could feel more relaxed that way. Sunset is supposed to be at least part romantic, but it’s hard to feel that in the castle. We had dinner afterwards at Karma Restaurant, which has some really creative items in the menu. Nightlife was served at the Two Brothers Bar in Fira, which is perfect for its youth, fun, and music. It tends to be really crowded, though, and the management ends up taking your seats to make way for the dance floor. It was a small place, but the music is excellent. So far, our favorite bar was Tropical Bar also in Fira. We spent two nights here, and there’s a great view just outside! The drinks are reasonably priced (but Santorini standards), and the staff is excellent! It’s more spacious than Two Brothers, so you can meet more cool people! We went on this cruise which was organized by Dakoutros, denting our pockets by 35 EUR. The tour was done on a wooden sailing boat, which is a nice experience! 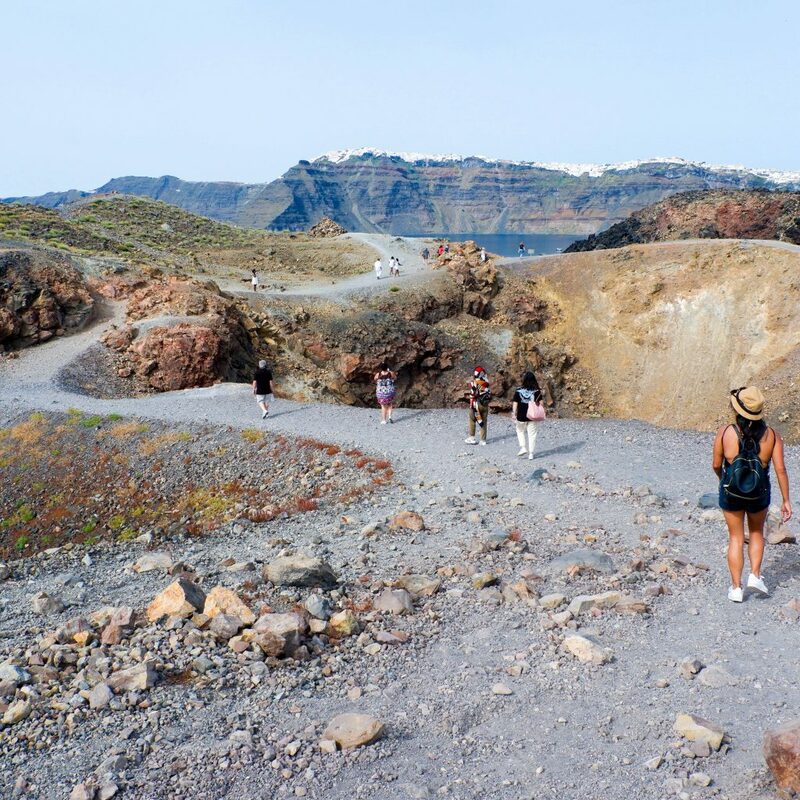 We went around the active volcano of Nea Kameni, and stopped at the hot spring-laden island of Palea Kameni. We also stayed at the bay of Agios Nikolaos, and sailed around the Caldera. Finally, we went below Oia for the sunset. It was a small group, so I loved it. Truth is, we could have gotten the tour for 20 EUR, but that batch had more people in. Since we all got to see the same places anyway, I opted for fewer company. The volcano hike wasn’t all too exciting for me, and it really looked better from afar. However, if it’s in your bucket list, it’s also quite an experience. There is also a 2.50 EUR entrance fee. The hot springs was slightly disappointing. What they don’t advertise is that you have to swim through 150 meters of cold water to get to the springs behind the church — and you have to pass this way to get back to the boat. The hot springs were rocky and not really that hot. We didn’t have floaters on our boat (some others had) so we were advised by the captain not to go through if we’re not strong swimmers. A lot of us ended just talking in the boat while a few others swam. They returned really exhausted and encouraged us not to go anymore. The island was better, though there wasn’t much to do besides chat in the Rock Tavern. The drive towards the sunset was beautiful, but the same sunsets can also be seen from Ammoudi Bay. you could literally drive to see the same views we did! Overall, the tour was skippable. 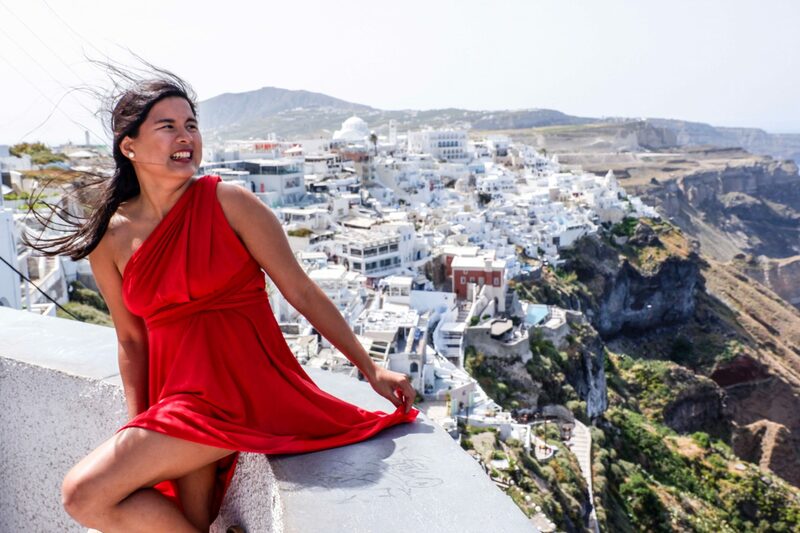 It wasn’t among the more exciting things I did in Santorini. The boat is quite nice, though, and it came with a cup of wine during sunset — so it can’t be all too bad. We had dinner again at Karma, and we had Mavrotragano wine along with it. The wine was superb, full-bodied, and easy-to-drink — perfect for a meal! It matched well with the picturesque, dinner-by-candlelight ambience of the restaurant. The appetizers consisted of Pie and Feta with Honey (lots of feta — nice! ), and the main dish was Original Souvlaki. 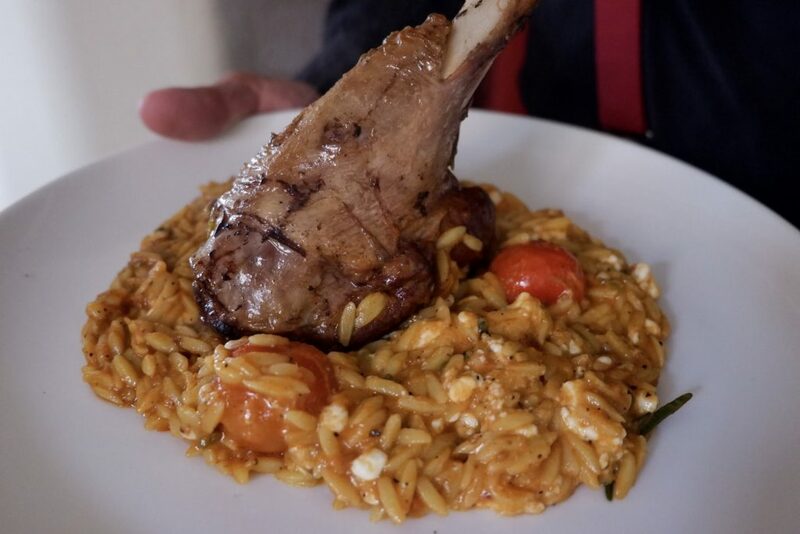 This was some meat with rice and tomato sauce, which is some kind of Greek comfort food. It was great! We also had prawns and lamb, the latter of which I almost didn’t get since Andrea isn’t a lamb person. Finally I just had to give in to the rave reviews from the next table! Dessert came in the form of a must-try chocolate cake, with all the decadent texture and moistness you will love! It was the perfect way to cup a meal. Add to that the great service of Dmitri and Angelo, and all was awesome! 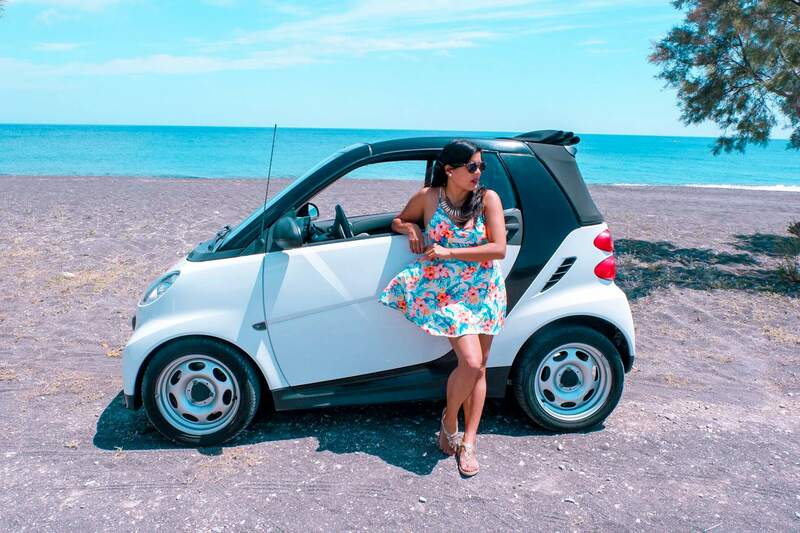 We took around a convertible smart car at 40 EUR a day, though it is also advisable to rent ATVs or scooters. There are buses, but the timing is kind of difficult so you end up riding one just once or twice a day. Parking is free, anyway, and we spent only 10 EUR for gas on the two days we rented the car. We went pre-peak season, so the weather was just about to get warm. It was a good time, too, since there weren’t as many tourists except on the days the cruise ship lands. Overall, it was a great experience and definitely one you should experience! The sunset cruise sounds amazing. Bummer you didn’t know about bringing floats with you so you could have experienced the hot springs. Swimming through cold water to reach warmer water might not be the best thing in the world but dang it you were there. Glad you took one for the team and could bring back that good piece of intel. Santorini looks wonderful! May does sound like the perfect month to visit. It doesn’t look very crowded and the weather looks amazing. Seems like you had such an eventful 4 days. 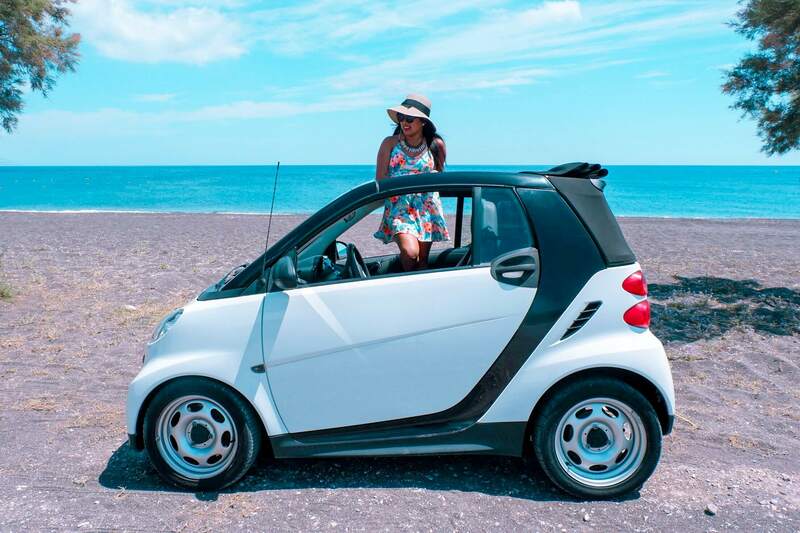 Driving around Santorini does sound better too and seems pretty convenient especially if on a shorter trip. Yes yes yes, your photos want me to get to Santorini as soon as possible. Hoping to be there just after the peak season this summer so hopefully, as a photographer, I can still capture the sunsets, white buildings and create perfect memories. Love your photos. The mini car was really a smart decision. A lot of people would go for the ATV which could be fun too but well we had at least protection from the cold or from the heat for that matter. 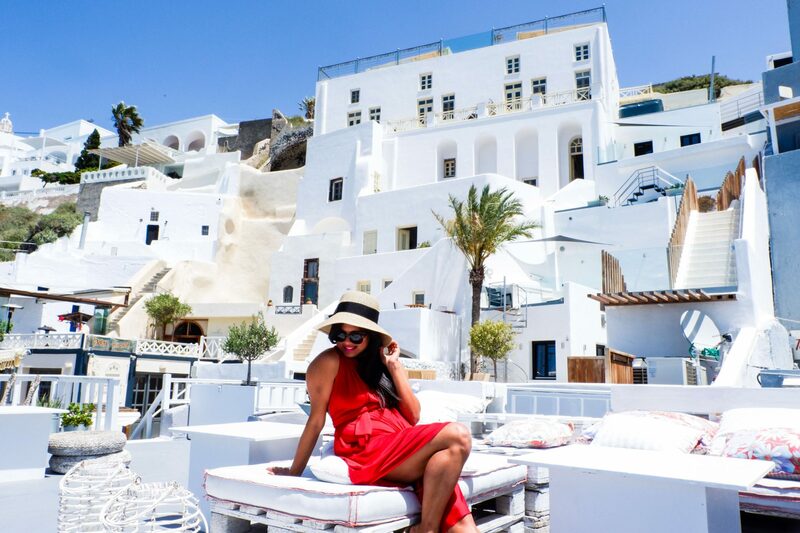 What a comprehensive post, you’ve really made me think about heading to Santorini soon! We’d prefer to avoid the high season, not just for the larger crowds but also the intense heat, so May sounds perfect. Those white-washed buildings just don’t get old and I bet they are even more glorious at sunset than in the day! We love self-drive so good to know that we can rent a car to explore. And love the idea of a sunset volcano cruise too, though I’m not sure about the volcano hike or lukewarm springs either!! This is a lovely description of the island and makes me bump it up on my travel wish list! Great job with the photos, they really pop. And I like what you say about touristy area – those places are why a destination is on our list, there is no shame in walking on a popular street to start exploring. 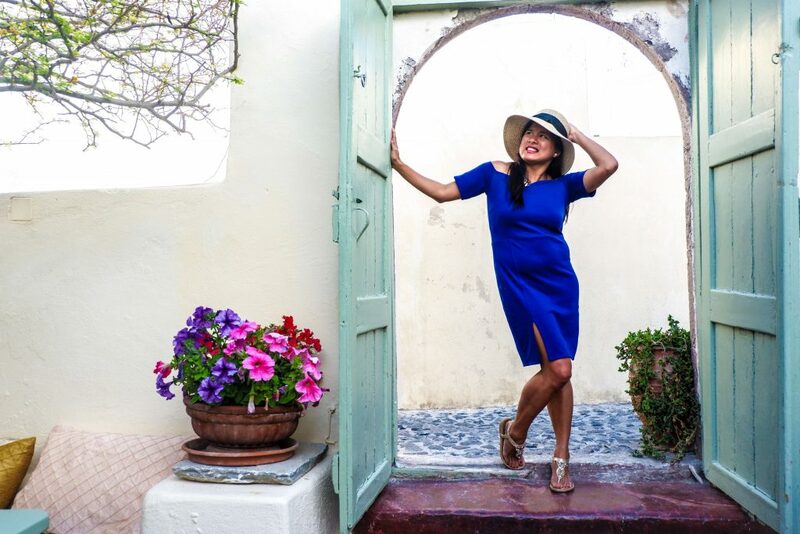 Also, you had me at coffee, wine, and volcanoes – right up my alley! 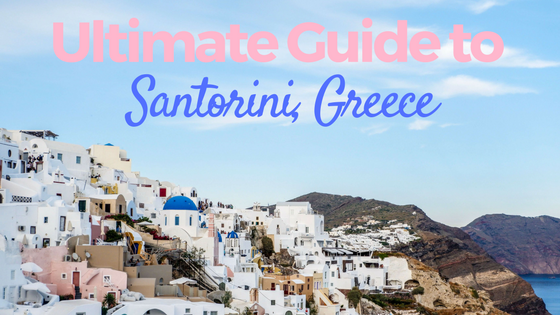 Santorini is on the list. I thought the place was only about sun, sea and those hillside views. So there’s also activities like volcano hike and hot springs tour which suit me fine. I’m not just with sightseeing but doing some fun activities as well on my travels. Looks like the perfect place to catch sunsets. 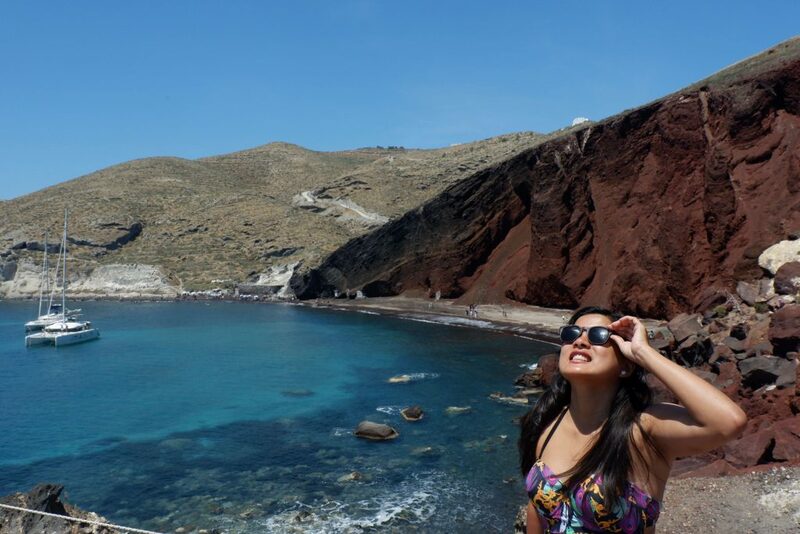 Santorini is beautiful!! Sunset Volcano Cruise sounds like a good idea. The sunset at Oia looked gorgeous! 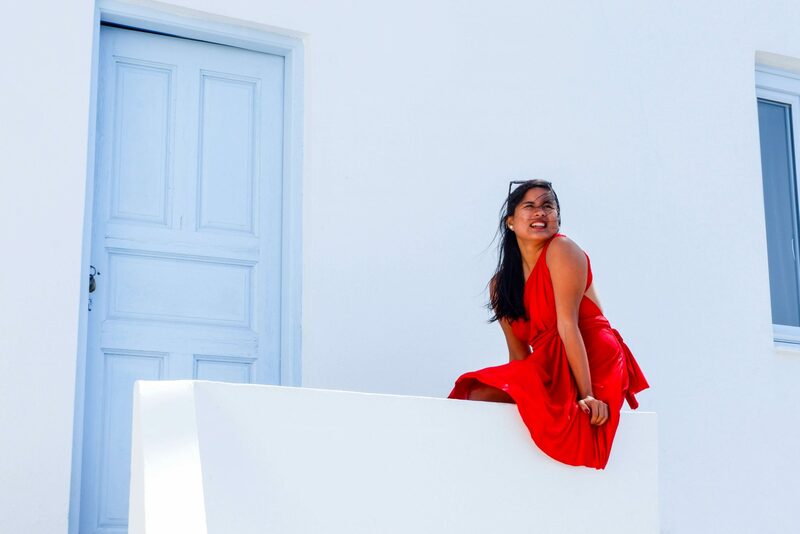 I’ve been to Santorini, and it was fantastic! I stayed in Oia but also visited Fira. I didn’t like Fira as much because it was super crowded on days when cruise ships come in. Oia stays pretty calm and quiet in comparison. If you’re booking a place to stay, be sure to ask for something with a caldera view. That is really the best feature of the island of Santorini. I also did the volcano tour but I really enjoyed everything about it. It was especially fun when everyone on the boat jumped in the water at the same time to swim to the warm springs. It was October so none of the water was too cold. Sounds like you had an amazing visit too. 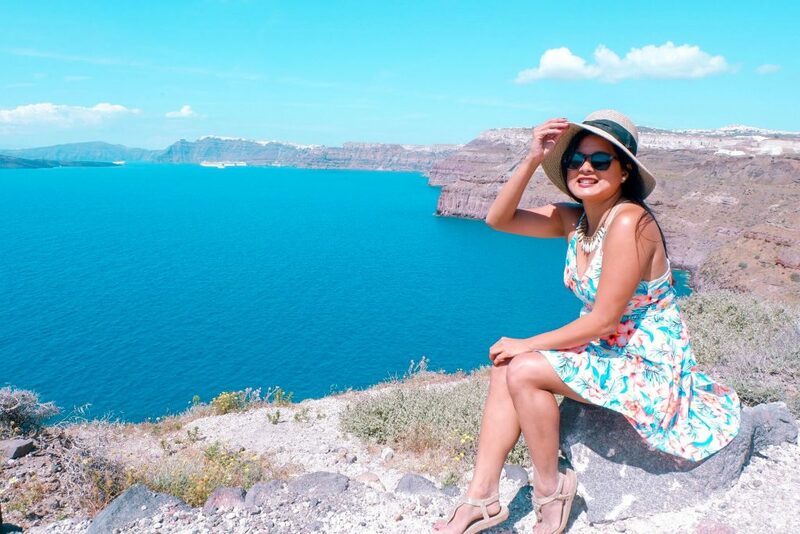 Did you ever walk all 400 steps from Oia down to Ammoudi Bay? Crazy, right? By the way, I love your sandals — super cute! Maybe, in October the waters would have been better. It was a tadbit too cold for us but good to know that you had a different experience about it. Greece looks amazing! It’s nice that you could be there in May with less tourists, but still get good weather. I think I would have really enjoyed the cruise because I am interested in geology, but swimming through the cold water to get to the hot spring would not be for me. I hope I get to go to Greece one day. 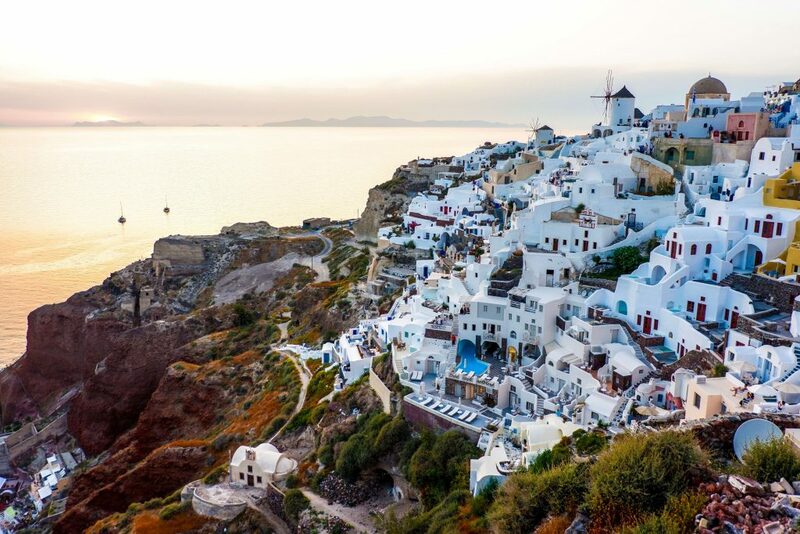 Santorini would be a dream to visit. This guide is so helpful and a lot would be accomplished in just 4 days. Sometimes I just read through posts just like these to picture myself in these places. Hopefully one day I actually get to go to them. 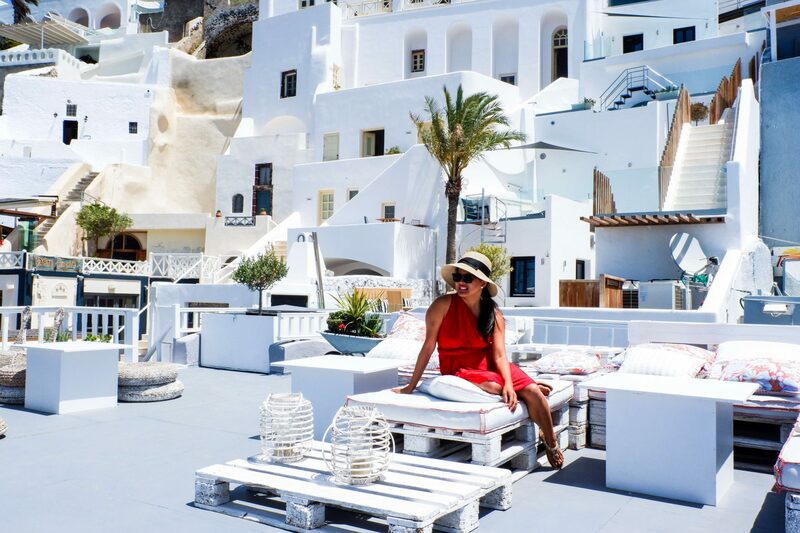 Perfect itinerary for Santorini. I think I would have gone for an ATV. Just for the fun of it. 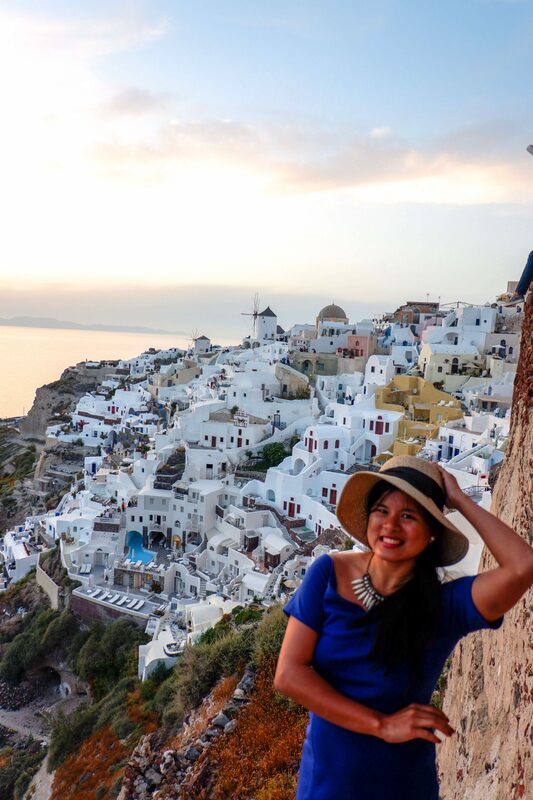 Oia and Fira are tourist-trodden but still gorgeous! I loved Ammoudi Bay specifically. Needless to say, the sunsets are spectacular and I made sure to capture it from a different location on each of the evenings I was there. Oia had the best sunset even though the spot for capturing it had probably a million people haha! 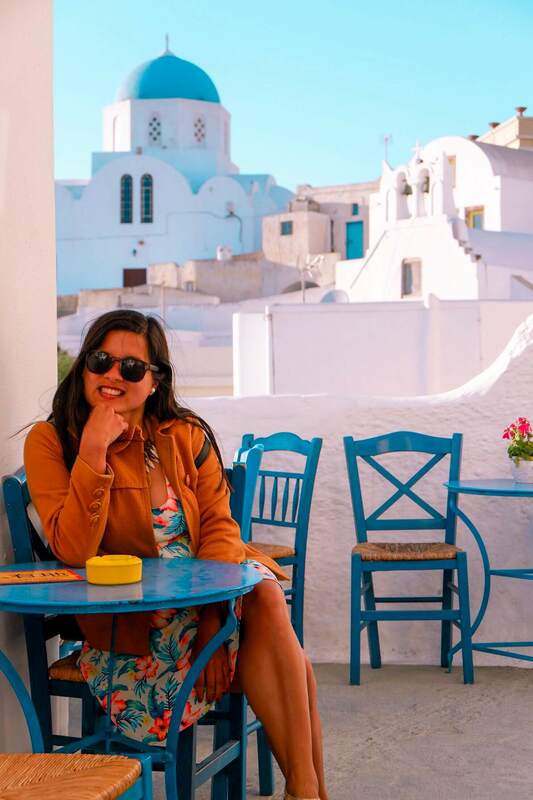 I like your itinerary suggestions, covers pretty much everything there is to see in Santorini! 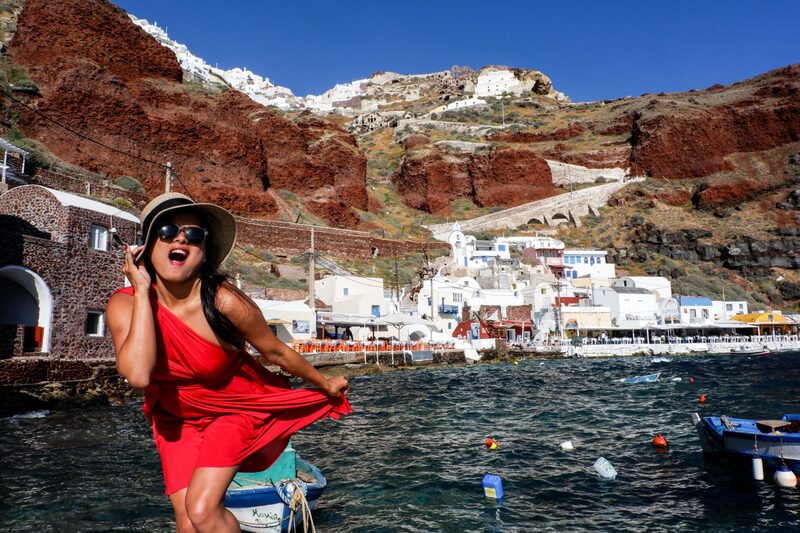 The pictures are really beautiul and Santorini does look like a paradise for Instagrammers. The guide is definitely to look for if some one is planning for Santorini in May.